As most of you know by now, I’ve been on a major room-by-room redesign rampage in my home these past 2 years. So far, seven different rooms have been completely overhauled (you can check out all of the room makeover reveals here). I’m gearing up to tackle a few more redesign projects as part of the One Room Challenge this fall and next spring. I can’t WAIT to get the party started! One thing I’ve learned in the process of revamping a space is that there are a lot of moving parts to keep track of during the project. I’ve used quite a few heavy duty home redesign organizational tools to manage these moving parts in previous redesign projects. But sometimes, the simplest organizing solutions are the most useful. When it comes to the process of gathering interior design inspiration for a project, I love to use a dedicated Pinterest board as a central place for collecting ideas. In addition, I’ll typically create a project binder to store paint samples, contractor information, etc. Recently, it occurred to me that having a Master Plan that captures all of the key pieces of information about a particular room redesign project in one place would be super useful. 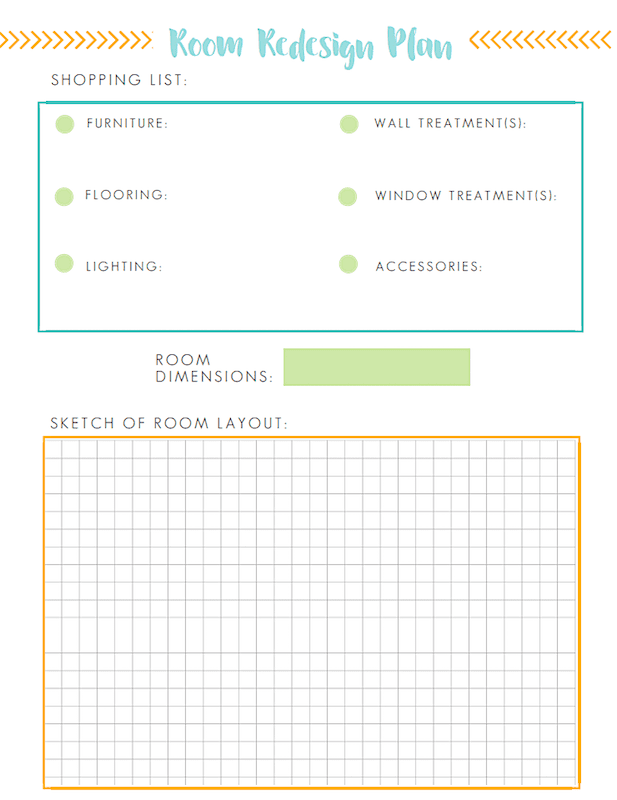 So recently, I sat down and created a two-page a Room Redesign Plan printable that has a place to record all of the basic information needed to complete a decorating project from start to finish. 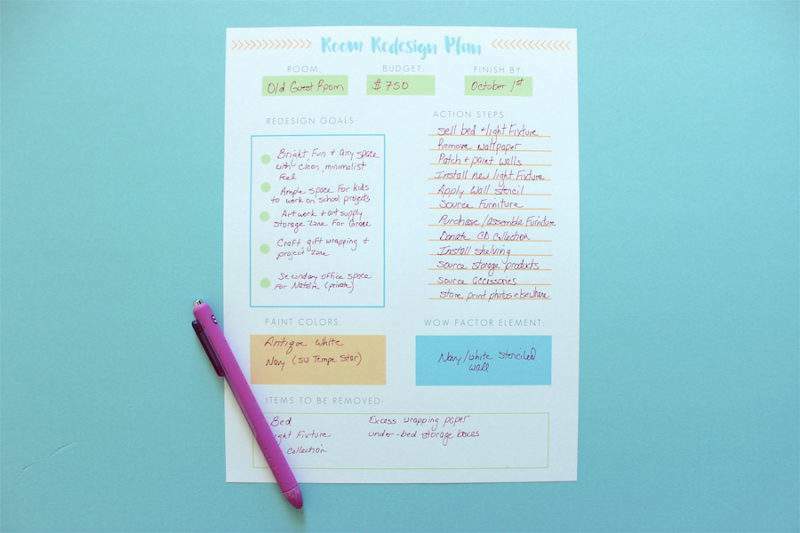 And I’m so excited to share this printable with all of you! 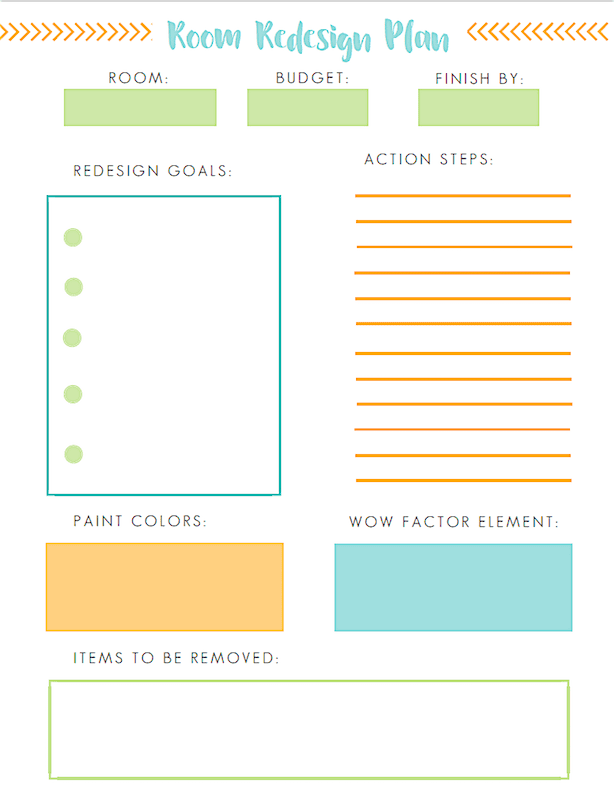 The Room Redesign Plan Printable is FREE to all of my newsletter subscribers. 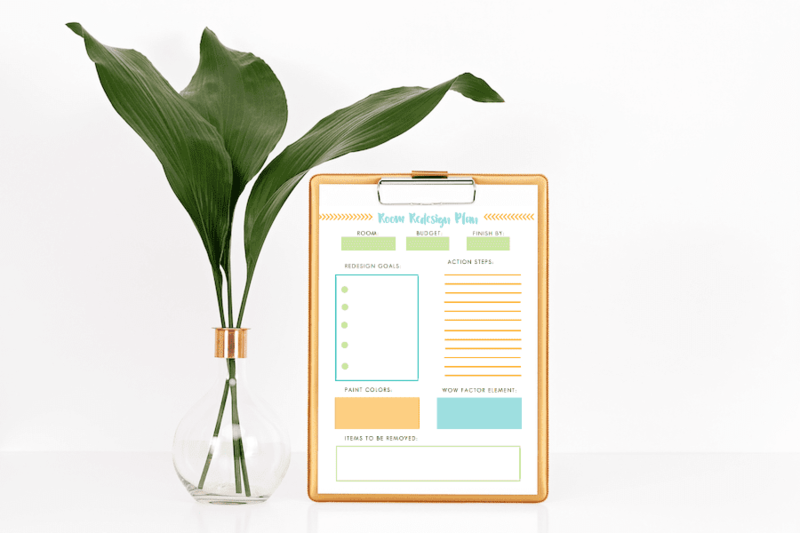 To get it, all you have to do is subscribe to my email newsletter and you’ll gain instant access to my Resource Library (which includes all of these printables + so much more). Got a room makeover in your future? 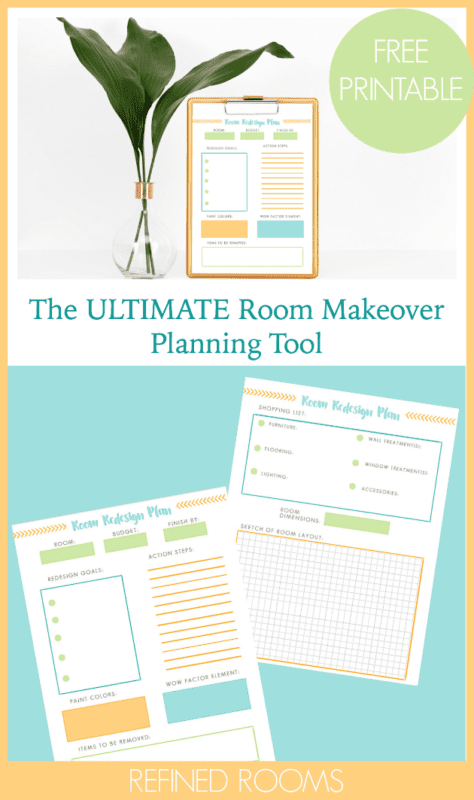 Be sure to snag your copy of the Room Redesign Plan printable to help you plan, organize and execute your project! 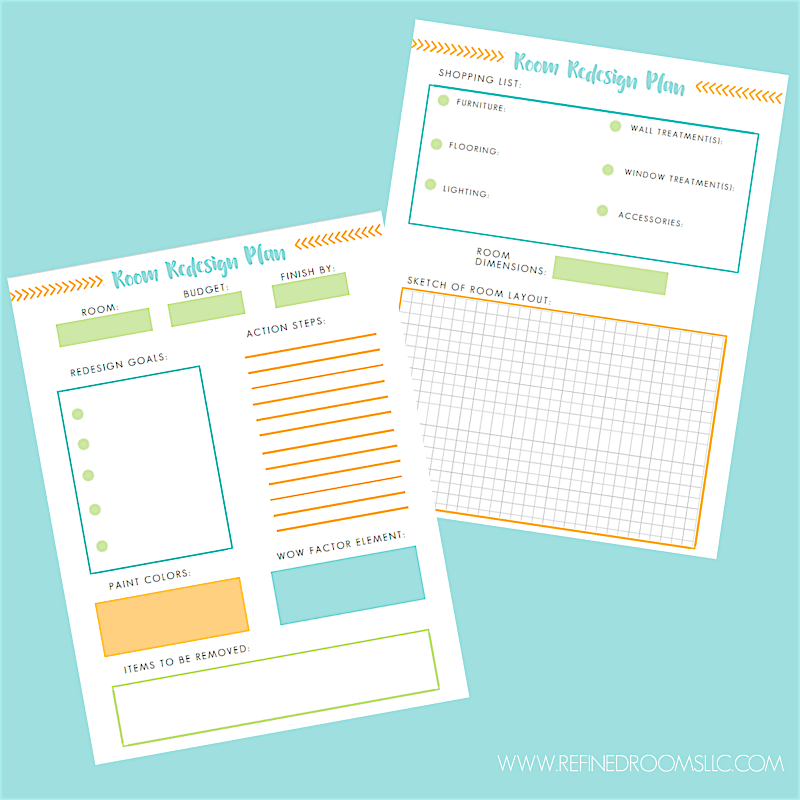 Be sure to check out my entire collection of free printables, designed to help you get organized and be productive! I appreciate that it is so easy to use! Great resource for even the rookie DIY-ers like me!! I’m so glad you like it Olive! I love this! I imagine a binder would still be helpful, but having all this info at the front would be a real time saver! I absolutely having the 1 page summary of the plan!